The Artista Academy Awards (AAA) night was hosted by actor Cesar Montano and actor Marvin Agustin at the Smart Araneta Coliseum, Cubao, Quezon City, yesterday, October 27, 2012, with a live telecast from TV5 Kapatid Network. This television show of TV5 aimed to search for a new fresh face and talented actors and actresses to build up in their own home network. With a prize worth of 20 Million, many aspiring young actors and actresses gave their best to be included in this competition. However, a competition is still a competition,. 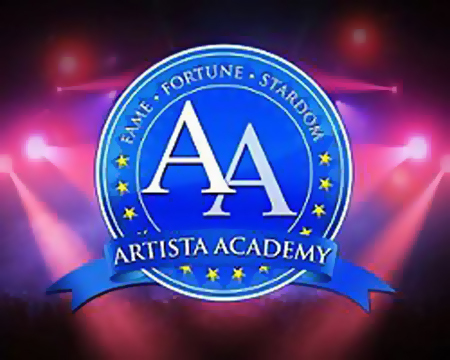 among the thousand hopefuls, there were only 6 students who have excelled in the Artista Academy. But viewers and audiences of the said talent show already said it allowed, as Sophie Albert and Vin Abrenica got to grab the 'Best Actress and Best Actors' category. They are now hailed as the Grand Winners of this country’s biggest and most intensive talent search. Both 21-year-old, Vin and Sophie will take home an accumulated prize of P10 million pesos, which includes P1 million cash hands on money, a condominium unit at the Presidio, one unit of Toyota Innova, and a guaranteed P5 million management contract from the Kapatid Network. Comments or suggestions about "Artista Academy Best Actor and Best Actress Grand Winners" is important to us, you may share it by using the comment box below.